Back to: What's on sale? 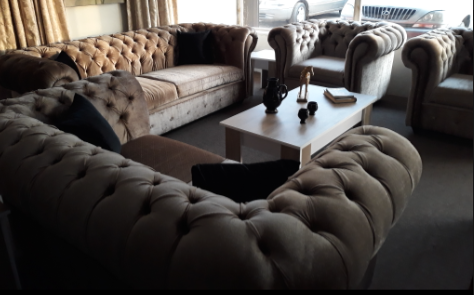 Our Best Seller, The Chesterfield Sofa Set, is up for grabs!! Beautifully upholstered in champagne-coloured crushed-velvet fabric is beautiful to look at and even more beautiful to sit in!! Add sophistication to your home at this UNBEATABLE price offer!! !